Sage Paul dishes about the Indigenous designers on her radar. 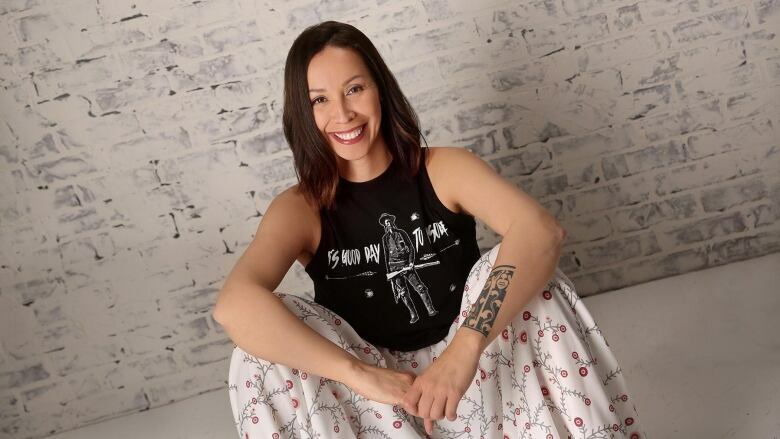 Sage Paul, who is an urban Denesuliné tskwe, a member of English River First Nation and a designer by trade, founded Indigenous Fashion Week Toronto (IFWTO) last year. 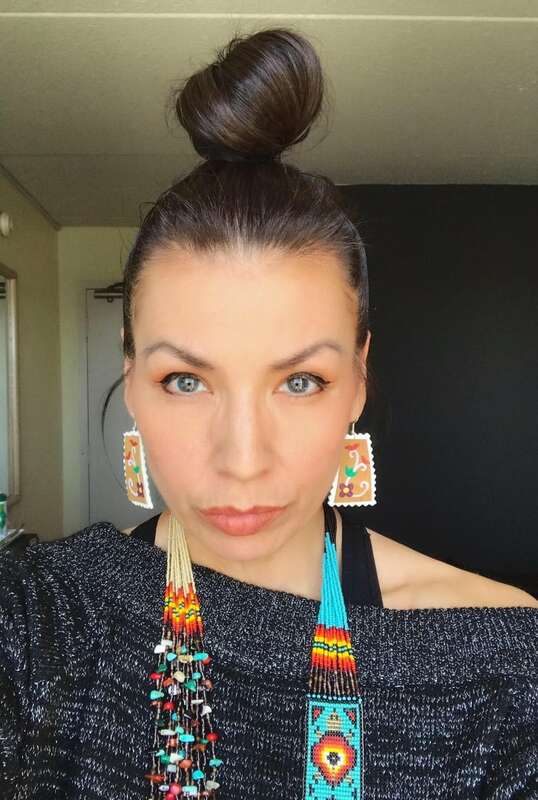 She's a huge advocate for her fellow Indigenous designers, and she wanted to create a space for them to showcase their work. "As an artist and an Indigenous woman, I felt like there was no space specifically for and by Indigenous designers and Indigenous artists," Paul says. And since the launch of IFWTO last year, she's seen a lot of changes in the industry. Warren Steven Scott, who showed at IFWTO last year, has been nominated for a 2019 Canadian Arts and Fashion Award, and his work was recently covered by Vogue. 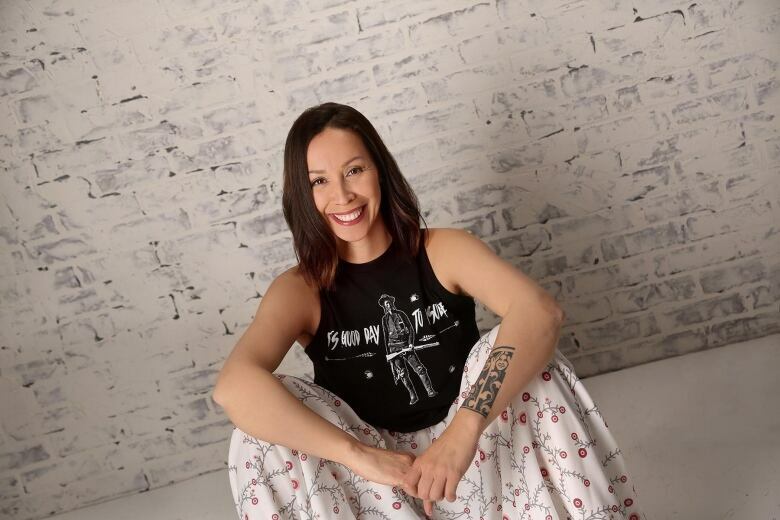 Lesley Hampton, also an IFWTO alum, just received her first wholesale order for her athleisure line, and one of her designs was featured in the Canadian film Through Black Spruce. Paul has helped forge a path for other Indigenous designers, and she clearly has an eye for talent. Here are five more designers she has on her radar. Based in Iqaluit, Victoria Kakuktinniq of Victoria's Arctic Fashion designs parkas using traditional Inuit techniques and materials. "The bond with a lot of her Inuit community is really strong, and that's what I love about seeing work coming from the Inuit community," says Paul. "[Kakuktinniq] is really pushing boundaries on what Inuit fashion is and what mainstream fashion is." She also showed at International Indigenous Fashion Week in Paris this past season, and her coats are in high demand — the site isn't accepting any new orders until mid-April. 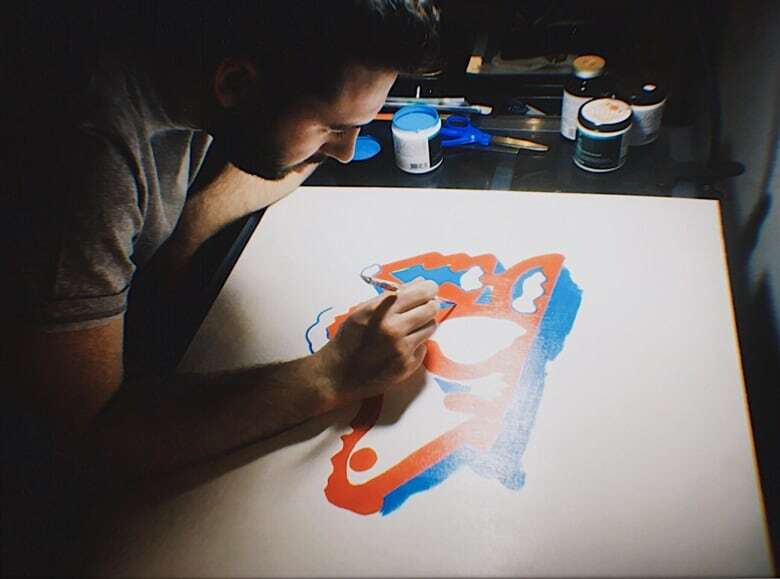 Twin brothers Christopher and Gregory Mitchell worked as freelance graphic designers while studying in Brooklyn, but they moved home to Halifax after graduation, and now create together as Born in the North. Through their brand, they combine their Mi'kmaq ancestry with their Canadian upbringing and design streetwear, accessories and art featuring traditional symbols, imagery and phrases like "native strength." "[Their work] really speaks to a subculture of young people," says Paul. "And I think it brings together a young, urban Indigenous voice." "Her designs are much more functional, and they speak specifically to an everyday woman who lives wherever," says Paul of Andréanne Dandeneau and her brand, Voilà Designs. "I think that's such an important part of looking at the scope of work that Indigenous designers are creating. I like how it doesn't pigeonhole our designers." Dandeneau, a Métis designer based in Winnipeg, creates clothing that's eco-friendly and fair-trade. 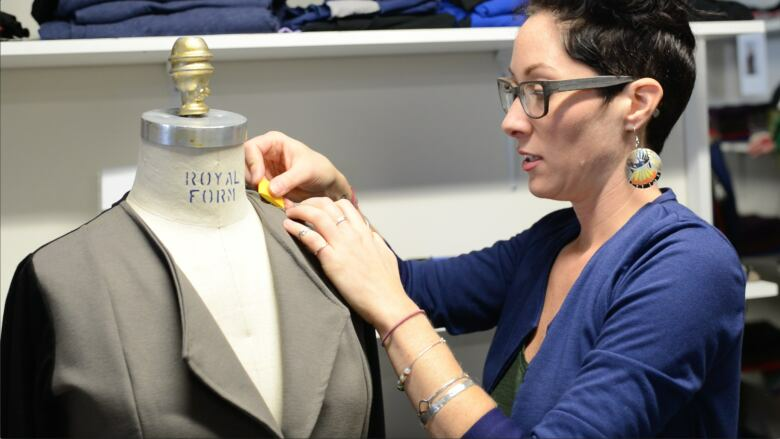 In 2016, she received an entrepreneurship award for her sustainable designs from her local francophone chamber of commerce. Swirling Wind, designed by Tracy Toulouse, combines storytelling motifs with modern silhouettes. She is from the north shores of Lake Huron and a member of Sagamok Anishnawbek of the Ojibway Nation, and she uses applique, beads, quills, antler bone, fur and ribbon work in her designs. Toulouse's objective is to reinforce the Indigenous spirit and give it a wearable voice, something she's been doing since she started Swirling Wind more than a decade ago. "[Toulouse] is a designer who inspired me when I was younger," says Paul. "She has a very sophisticated design but she still includes traditional elements that you would see at powwows, so I liked that fusion." "[Perkins] is an award-winning bead artist," explains Paul. "She creates these incredible pieces of beadwork, [and] she's Haudenosaunee, which has a very strong presence culturally, so she brings that into a lot of the beadwork that she does." Not only does Niio Perkins make beautiful jewelry using those traditional beadwork techniques, but she also designs clothing inspired by the patterns of that beadwork. Tara MacInnis is a Toronto-based writer and editor with a deep love for lipstick, jumpsuits and dogs. Follow her on Instagram @tara_macinnis.